Jubail: Excitement, passion, color and the cricketing excellence of “JF WINTER CUP 2019” a knockout cricket tournament for noble cause got off to an exhilarating annual event of sports at SABSA Cricket Ground at Rakah (Al-Khobar) in the eastern province of Saudi Arabia. 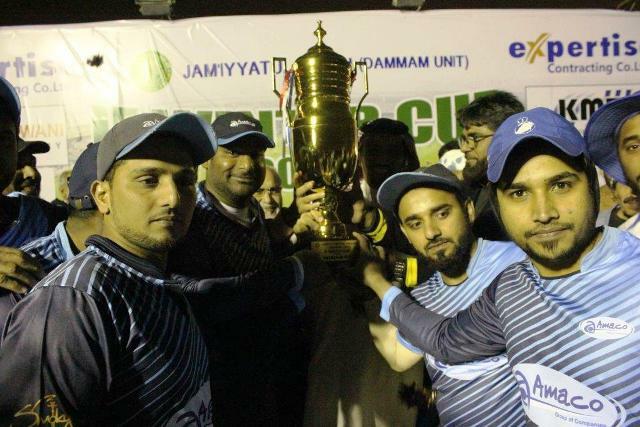 The extraordinary cricket Tournament was organized by Dammam Unit of ‘Jamiyyatul Falah’ a charitable organization. The foggy, dusty and cold weather conditions in the morning didn’t changed the mood of Cricket Tournament and it took off smoothly with great piece of enthusiasm by all the players of 8 top cricket teams of Eastern Province. All the matches played had shown a marvelous piece of performance and the real sportsman spirit was displayed by all the players during the Tournament. The excitement and interest towards the game was beautifully exhibited by all the teams despite of 8 over a side match. Nizamuddin Shaikh, President of JF Dammam Unit and Ahmed Kabeer, Chairman of the tournament inaugurated the opening ceremony and Mohammed Siraj, the sports event manager had described the rules and regulations on the ground to all the Cricket Teams and the inaugural match of the preliminary round was started off on-time and followed by all other matches as scheduled. All preliminary and quarter final matches were played in the morning and afternoon session and the Semi-Finals and Finals were played under delightful atmosphere. Amaco Jubail won JF Winter Cup 2019, beating Blue Stars Dammam by 7 wickets in the finals played at SABSA Cricket Ground. Amaco won the toss and opted to file first. Blue Stars lost their first wicket of Imran very quickly in the 2nd ball of the match. The fine all-rounder Khashif joined Nihal and both played sensible innings and built up strong partnership for 35 runs for the 2nd wicket and Khashif got out when the score is 36. In the middle Blue Stars lost their vital wicket of Nassir for duck. At this crucial stage Salman joined Nihal and both batsmen played more carefully and added 20 runs and took the score to 64 in 4th over. After the fall of Salman, Blue Stars middle order batsman’s find difficult to score runs against fine bowling and fielding performances by AMACO players. Blue Stars keep losing the wickets and managed to reach a total of 70/7 in allotted 8 over. Nihal 31, Khashif 25 and Salman 10. AMACO bowler Shafeeq bowled magnificent bowling spell by keeping good line, length and grab 3 important wickets. 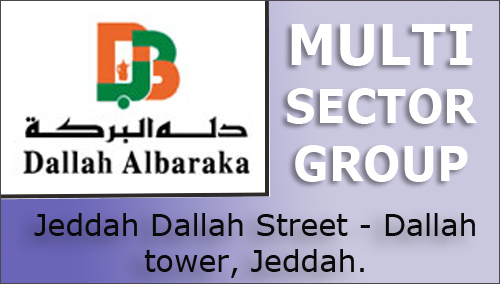 He took 3/11 &, Muthalib took 2/25. On Chase, Rameez and Muthalib opened the innings and they lost important wicket of Muthalib when the score was 4. At this moment, good striker of the ball, Saleem joined Rameez. Both batsmen played magnificent innings by hitting Blue Stars bowlers all over the ground and added valuable 50 runs for the 2nd wicket. The lost the vital wicket of Rameez when the score was 51. Also, AMACO lost the wickets of Bala in the quick gap. On the other hand Saleem took the challenge and played remarkable innings of unbeaten 39 runs and took his team for glorious victory in 6th over. Saleem smashed 4 huge sixes and 2 boundaries in his innings. AMACO were 73/3 in the 6th over. Saleem not out with 39 and Rameez 13. Blue Stars bowler Salman took 3 for 16. Prior to the Mega Finals, 1st Semi Finals was played between Blue Stars Vs Shine Arabia. Batted first Blue Stars were 82/7. Asir 24, & Khashif 24. In reply Shine Arabia was able to reach 54/8 in allotted 8 over. Salaam scored 23. The 2nd Semi Finals was played between Karavali Vs AMACO. Karavali batted first and made 64 in allotted 8 over. Faran 13 and Shail 28. In reply AMACO were chasing a target of 68/1 in the 6th over. Rameez 21 and Saleem 22. The first half of the Tournament was well executed by all the 8 Cricket Teams. The second half of the Tournament – the post-match presentation and the closing ceremony – was hosted by Rafiq Nariyar. The program commenced with Qirath by Ameen Shaikh. Nizamuddin Shaikh, President of JF Dammam Unit, addressed the audience with his welcome speech and thanked the audience for their kind presence. A brief presentation of Jam’iyyatul Falah was offered by Ahmed Kabeer, Chairman of the Tournament. The presence of prominent guests and audience had built a pleasant environment of joy and happiness on the ground and their presence was appreciated by the Host. The Main Sponsors for the Cricket Tournament “EXPERTISE”, “RAQWANI COMPANY”, “KMT” and “ZAMIL INFO SERVICES” were presented with memento. The main sponsors and distinguished guests had shared and invited on the dais. The host took the opportunity on behalf of JF Dammam Unit and tribute all the wonderful moments of “JF Winter Cup 2019” to all the players of 8 Cricket Teams for showing the great sportsman spirit throughout the Tournament and received a huge applaud from the great audience. He thanked all the 8 Cricket Teams and encouraged them as a WINNER of ‘JF Winter Cup 2019’, because they all played for the Noble Cause, for which JF Dammam Unit is always thankful for their charitable contribution. The success of the tournament was dedicated to its Main Sponsors, Co-Sponsors and all the well-wishers of Jam’iyyatul Falah, who had been a great support and foundation to “JF Winter Cup 2019”, and their encouragement had given the opportunity to JF Dammam Unit to work for the betterment of the community back home. Office Bearers of JF Dammam Unit presented the memento to all the Main Sponsors, Co-Sponsors and Well Wishers of Jam’iyyatul Falah. Subsequently, the prize distribution ceremony was hosted by Mohammad Siraj and he announced the winners for their performance in the Preliminary, Quarter Final, Semi-Final and Finals. Individual awards were presented to different players in various categories. Saleem of AMACO judged “Man of the Tournament” for his remarkable batting performance throughout the tournament. Man of the Match for FINALS was awarded to Shafeeq of AMACO. Niyaz, the Captain of “AMACO” Cricket Team collected the Winner’s Trophy from Chief Guest Masood Ali Al-Dalbouh and at the same time, each winning players had collected their individual trophies. Jabbar, the Captain of “BLUE STARS” Cricket Team collected the Runners-up trophy from JF Dammam Unit’s President Nizamuddin Shaikh and the players were distributed with their individual trophies. Vote of thanks was proposed by Shahul Hameed, ex-President and ex-NRCC Ameer of JF Dammam Unit. CONGRATULATIONS........ to all the Sports Working Committee and Executive Members for making another SUCCESS event of Sports for the NOBLE CAUSE. Every year I attend and hard miss your events. I would like to appreciate the TEAM-WORKS you guys have is amazing and its inspiring to other organizations. May Allah bless your organization to grow year afte year to build a better society back-home - Aameen. Keep it up and looking forward to attend your Family Get-Together Event soon - IN-SHA-ALLAH.